A few years ago countrylife.co.uk had a scottish manor house (Merton Hall) for sale for around A$1m (it was before the recent boom in UK house prices, and was in need of renovation as it had been used as a boarding house for a boy's school). 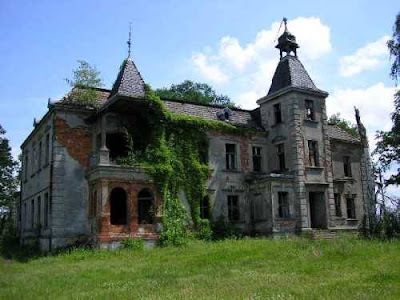 I was keen enough to go to the trouble of getting my father to join me in making a bid on the property, although in the end we were not the winning bid. I've always fancied buying an "estate" with an historic house and grounds, although it's currently still way out of my price range, and country houses have never really been much of an investment in the long term (although if we had succeeded in buying Merton Hall it would have done well in the past three years due to the real estate boom in the UK). What I'd like is somewhere between these two extremes, but, when I'm in a more sensible mood I realize that I'd be much better off investing my money and just staying in a castle of manor house on my holidays.